Andrew was born in Belfast, and moved to Edinburgh with his family when he was 14. He returned to study languages at Queens University, Belfast and, after graduating, Andrew joined OM. Rosalia is from Rio de Janeiro, Brazil. After graduating from seminary, she worked in missions in the interior of Brazil and then moved overseas. They both worked in ministry in different parts of the Arab world. After marrying in 1999, they then moved to Spain, working with OM's North Africa team. During a sabbatical year in 2005-2006, they decided to leave OM, in order to focus on church based ministry. This opened the doors to a partnership with Baptist Missions. Both Andrew and Rosalia are involved in working with the Renacer (Rebirth) church in Algeciras. 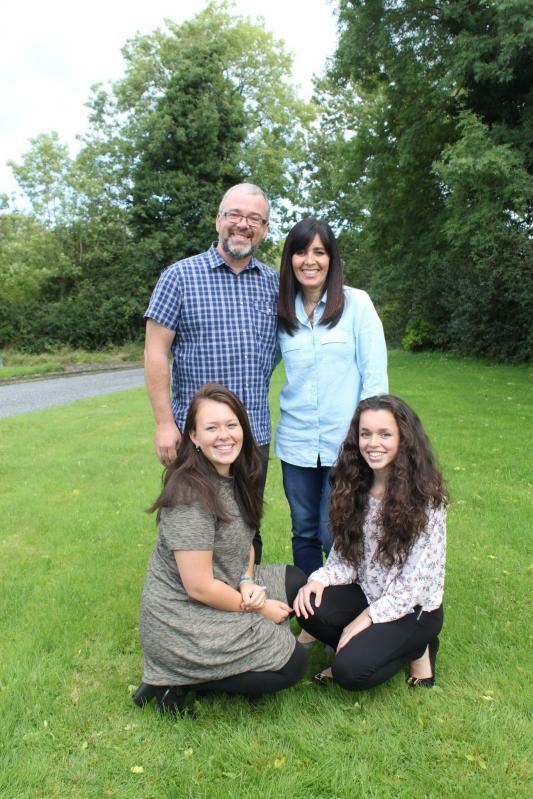 Andrew is an elder, working with two other elders, in the overall leadership of the church. Rosalia has special responsibilities for coordinating the social care ministry, and has also helped develop a growing children's ministry in the church. In addition, both seek to be involved in personal evangelism, which includes church events, but also visitation, sharing with friends etc. Over several years, the Renacer church has developed a ministry to distribute food, received through a local food bank, coupled with visitation to needy families. Last year, we took a further step forward by renting a small premises in a neighbourhood of Algeciras (one of two neighbourhoods where many of our contacts live) called El Saladillo. Called “Familia10”, we have been seeking to reach out and minister in different ways to families. This has particularly had an impact on immigrant families. The church is also involved in regular evangelism in an inland town called Medina Sidonia, with a number of people now indicating they would like to attend meetings should we begin them. A town of 14,000 people, 70 kms (about 45 miles) from Algeciras, it currently has no evangelical church. We continue to have an active and growing ministry with kids and teenagers. This includes special events around Christmas, Easter, holiday Bible Clubs (often in partnership with teams from Ireland) as well as on-going ministries throughout the year. Earlier in 2016, we made a bid to purchase premises beside our current building, but unfortunately this was unsuccessful. The need for more space continues to be urgent, so we need wisdom on how to proceed.